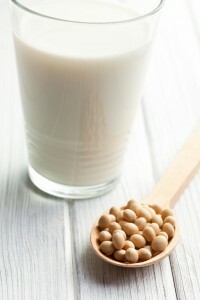 Will drinking soymilk lower your husband’s fertility level? Does cooking with Teflon coated pans make it harder to get pregnant? Could hair coloring products be lowering your husband’s sperm count? Many couples who seek counseling for infertility come in asking these questions. Patients worry that toxins, heavy metals, or chemicals in food and cosmetics could be somehow causing their infertility. At Santa Monica Fertility Clinic, the answers we give to these questions are as varied as each couple’s circumstances. For some, products could be possibly affecting their fertility. For most couples who have been trying to get pregnant for a year or more without conceiving, other issues lie at the heart of the infertility issues they are experiencing. However, since there is evidence to suggest that some products could impair a couple’s fertility, it may prove helpful to eliminate as many as possible. You can thereby increase your chances of conception and also increase your own health at the same time. Here are some everyday items that could be making it more difficult to get pregnant. Cell phones—several studies suggest that sperm can be damaged from the radiation emitted by cell phones. Most experts suggest that you and your partner should keep cell phones out of your front pocket. Carrying phones in a back pocket or in a bag or briefcase will decrease the radiation exposure. BPA plastics—Water bottles and plastic food containers that have phthalates and bisphenol A (BPA) could decrease sperm count or have a negative impact on sperm mobility, according to many studies. You can avoid this by only using BPA free plastics or using glass containers for leftover food. Some studies suggest that warming up food in BPA-containing plastics leeches even more BPA into the food, so definitely avoid tossing these containers in the microwave. Canned food—The problem with canned food is not in the metal can itself, but in the chance that the can was lined with BPA (which is the same thing often used in plastics that has a negative impact on sperm production and mobility). To avoid this risk, buy only canned products that state that they are BPA free or cook with fresh ingredients. Remember, most restaurants used canned products, so eating out can put you at risk as well. Nonstick pans—According to ScienceNews, Teflon pans may decrease a couple’s fertility. PFOS and PFOA are used in the nonstick pan coating, and these chemicals can leech into the food cooked in these pans. Then the chemicals circulate in the bloodstream. Until recently, these chemicals were considered relatively harmless. According to one study done at the University of California by Chunyuan Fei, the higher the concentration of these chemicals was in a would-be mother’s blood, the longer it took for the mother to get pregnant. Soy products—According to a study published in Oxford Journals Human Reproduction, soy intake can have an affect on a man’s fertility by lowering his sperm count. Eating soy products didn’t affect other sperm-related factors. However, because of these findings, it may be advisable for your husband to stop drinking soymilk or eating products containing soy while you’re trying to conceive. Cosmetics and hair colorants—Some toiletries contain chemicals called phthalates as a type of fragrance, which can have a negative impact on sperm. Another ingredient that can harm sperm quality is lead acetate, which is in some types of hair colorants (which can be harmful for men). By avoiding these products whenever possible, you could potentially increase your chances of conceiving. If you’ve been trying to get pregnant for a full year, or if you’re over the age of 35, it’s time to consult with a fertility specialist. You can schedule an appointment at Santa Monica Fertility Clinic and explore your options for having a baby.